There are many types of devices which can be used for checking vehicle conditions. You can have some of such devices in your possession so that you can use them and check the condition of your vehicle(s) whenever needed. It is important to keep your vehicle in optimum condition so as to remain safe from troubles and accidents while traveling. OBD-II scanner is an on-board diagnostics system which is made to check the systems of vehicles. You can use this system on your private car or trucks or other types of vehicles for a complete check. Reports are made by this system to help users get details about different aspects and working of their vehicles. This system is used on a large scale in order to check the vehicles and get information about the parts to make sure that these are working well. Codes and protocols used in OBD-II scanner are the same which are used by various makers of vehicles. This is a special feature which was not present in the previous version. With the help of this feature, all types of vehicles could be checked and reliable reports can be obtained. OBD-II scanner is able to check vehicles and give reliable information to users as this information is based on same codes and protocols which are used by makers of these vehicles. Two types of OBD-II scanner are available which are used for different purposes. This type of OBD-II scanner is limited and simple to use. They give limited information to the users and they are inexpensive. Users are able to use them to get some basic information about the systems of their vehicles. General information about the working of the system could be obtained and checked with the help of code readers. Unlike code readers, scan tools give detailed information and these are also expensive. Complete protocols and codes are used by these devices to make sure that a thorough checking could be done. Information is based on standard procedures to make sure that the users can get the required information about their vehicles’ systems. Thus, you can use this system to get complete reports about the working of your vehicle system. OBD-II scanner works on the basis of the type of this system. Basic systems are code readers which give limited information about the working of vehicle systems. On the other hand, advanced systems are scan tools which are used for complete checking. Different types of connectors are available with OBD-II scanners to help users in making connections. You can make reliable connections with the system of your vehicle and start using it. If you have an OBD-II scanner, you can connect it with the system of your vehicle. Different types of leads and wires are available with this system through which reliable connections can be made. When you have connected your system with your vehicle, you can start using it immediately. 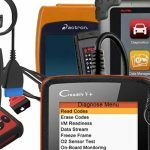 If you have the basic type of OBD-II scanner then you can get reliable information regarding the working nature of your vehicle. But if you have an advanced type of OBD-II scanner, you can get detailed information about the working of your car’s system. Manual is also available with the OBD-II scanner to help users in many ways. You can check the manual of this system in order to make reliable connections and start using it any time. OBD-II scanner is of expert kinds which are utilized for comprehensive examining of automobiles. These kinds of techniques are created to evaluate the program of automobiles properly and prepare an entire report. Several kinds of sophisticated automobiles and huge vehicles can be examined using sophisticated types of OBD-II scanner equipment. Full reports regarding the complicated programs of huge automobiles are created, difficulties are discovered and remedies are advised for the users. But the basic scanners are not capable of testing sophisticated methods in complicated automobiles. Therefore, experts are nowadays utilizing complicated OBD-II scanner equipment to ensure that they may examine all kinds of automobiles and restore the difficulties when required. Advanced models of OBD-II scanner are able to check and solve different types of problems of vehicles in a short time period. The main function of OBD-II scanner is to connect with the system of vehicle and check the system. A detailed report is made and solutions of problems are given to users. When you have such system, you can check your vehicle and trace problems on a regular basis. This will help you to check the vehicle and work on solutions to make sure that the vehicle could remain in best working conditions. All models of vehicles with supported systems could be checked and traced through OBD-II scanner. Different types of protocols are used in the system of vehicles. These are checked be the OBD-II scanner to make sure that these are working normally. Due to some problems in these protocols, the normal working of the vehicle may be hampered. When these protocols are checked, the problems are highlighted. Solutions are also mentioned in the report by such an advanced system to make sure that the user can eliminate the problems. It is in fact good to check the protocols in your vehicles from time to time in order to eliminate the problems. In case of problems in normal working of the automatic system of vehicles, you must run a check for protocols to find out and eliminate them. OBD-II scanner is good for checking the protocols of vehicles to trace errors and work on solutions to help users in many ways. OBD-II scanner can retrieve codes for vehicles. There are generic codes in vehicles which have to be in perfect orders. There are also manufacturer codes in automatic vehicles which must be working normally. Moreover, there are pending codes in automatic vehicles which are used in normal working. OBD-II scanner is able to check and get the relevant codes. If some codes are missing then this system will get them and install in the system. Many types of standard codes are available in this system to make sure that the users are able to get them and use them properly. When you are scanning the vehicle for codes then you will get a complete report. In this report the details about the codes will be given. With this detail you can check the types of codes which are missing and then apply the solutions from your device. In this manner, all the missing codes will be loaded in the vehicle and it will start working normally. OBD-II scanner is compatible for all vehicles made in and after the year 1996. When you are using this system on your vehicle, you will get report about its fitness condition. You will get a code which does not work normally. You will get a cause due to which the code is not working well. You will also get a solution which will help eliminate the problems in codes. In this manner, you will get a report about all the problems of codes, causes of such problems and solutions for such problems. This report will be very helpful as it will provide details about the causes of the problems. Thus, you can remain safe from such causes in future and also from problems of codes. You can learn many important things as solutions are also given for the elimination of problems. Moreover, OBD-II scanner can be helpful in tracing of codes which are causing problems and you will be able to learn about the causes. Such systems are liked by users as these are working well and highlighting the problems in automatic vehicles. When you have these systems then you are able to use them and remain safe from problems. Now there is no need of taking the vehicle to technician for small issues of codes. 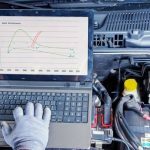 You can trace these problems of codes, highlight them and find their causes and get solutions to make sure that your vehicles are normal and fine. This system gets power from the vehicle itself and so there is no need of external power supply. You are just needed to connect the device to the system of the vehicle. Software of this device is also updated online and you can get the latest working and advanced programs which will work faster and give accurate results. Many new features are added by the makers of OBD-II scanner in the software to help users in getting details and formats of information. You can get all the latest information and enjoy amazing features with the help of the online update feature. The software of this system is updated automatically and you will get the latest working medium with your device. OBD-II scanner is able to get access to all types of information about the vehicles. This information is given in the form of report to help users in knowing the vehicle. Different languages are supported by this device to help users. You can select the desired type of language and get information in it to have a better understanding. Moreover, you can get details about the information of all parts of your vehicle through such systems. Working of this system is fast and reliable, and you will get information about your vehicle which will highlight all the important parts and aspects of your vehicle. There are many models of OBD-II scanner which are made by different companies. Every device comes with certain features and styles for getting different types of details. The main function of these devices is simply to check the information about the vehicle systems and generate reports for the users. You can select one from these devices as per your needs and use them to check your vehicle whenever needed. Bafx Products 34t5 OBD2 Bluetooth Scanner is a simple device which is easy to use and gives reliable information to the users. It is small in size and can cover different aspects of your vehicle. You can check the system of your vehicle and get reliable information which will help you keep the system working in normal conditions. Since the problems are highlighted by this device, the user is able to find the solutions to eliminate the problems. This can be a basic technique which is beneficial in several ways. In relation to standard, uncomplicated scanner, this can be the proper selection. With nothing elegant in its layout, the BAFX 34T5 OBD2 scanner is created for trustworthiness and performance in verifying the related codes, which it provides to third-party android programs using Bluetooth. This system can furthermore broadcast details to computer systems working on Microsoft Windows. After you connect this scan application to your computer system using cable, the remaining seems very basic and simple after you go through the handbook. It also includes a trial alternative for the computer system. Regarding Android use, you must first install the related software to your smartphone before acquiring the info created by the system. This scan application comes with a lot of features. It is mobile, allowing effortless carriage at any spot. It is also suitable for an extensive array of autos, making it usable all over the world. It furthermore offers some great numbers similar to RPM, velocity numbers, equilibrium rates, engine temperatures and several sorts of other information. There is a one-year warranty on this device and it is also simple to be used. Autel Al519 Enhanced OBD2 Scan Tool is a simple device which can be connected with the system of your vehicle to check its details. There is a clear display in this device through which users are able to get reliable information about their vehicle conditions. The Autel Al519 Enhanced OBD2 Scan Tool is nothing but a stunning piece of technology. By pressing a key, you can get entry to your vehicle’s drive period and emission ability. This portable scanner has the capability to keep details which may be used later effortlessly. It is very flexible because it can easily manage all the 10 types of OBD2 codes, and also those that are manufacturer-specific. It may additionally be utilized to easily get the Identification Number of your vehicle. 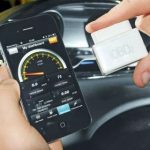 This gadget is distinctive because it has a speaker as well as a spontaneous display, which can make the analysis and evaluation of the vehicle problems quicker and easier. It is very simple to set up and work with. It even attributes an “information key,” which demystifies various designs in easy language; therefore, making it a great option for the non-tech people. On top of everything, it’s inexpensive. However, one significant disadvantage of this gadget is that it needs to be manually linked to a computer operating on the Windows OS before obtaining the interpretations associated with the shown codes, in addition to the suggested treatments to be used. Additionally, the defensive covering is made of versatile plastic material which may not be long-lasting. To conclude, it is good to have the OBD-II scanner in your possession; as it will help check out your vehicle’s overall condition effectively. Manuals are available with all types of OBD-II scanner models so that the users can use them and get the best results. You can learn many new things about your vehicle and remain safe from problems when you will have a reliable device to look into your vehicle, give detailed reports of the problems and suggest the probable solutions. In fact, the significance of getting an OBD II scanner fitted in your automobile cannot be overemphasized. In order to make your car operational with an ideal degree of efficiency, an OBD II scan device is the right choice for you. Therefore, use your automobile scanner regularly to get the best checking of your precious vehicle. ← Which OBD-II Software is Right for Your Car? Great exposure. 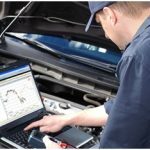 I am a novices in the field but wants to learn how to use my laptop with OBD 2 to repair vehicles for people. Pls how and where do I learn it from.